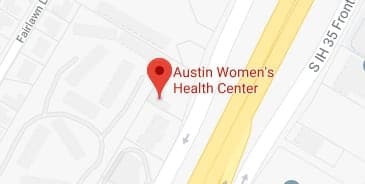 At Austin Women’s Health Center, we understand that there are many reasons why women choose to end a pregnancy. In some cases, you may be considering abortion due to a devastating medical diagnosis. We recognize how overwhelming it is for a family upon finding out there is a fetal abnormality, genetic disorder, or an increased maternal health risk during pregnancy. Our office specializes in supporting our patients during this challenging time. For over four decades we have been providing high-quality abortion care to patients due to fetal indication. We will work with your physician to arrange for further genetic testing if desired. While we offer these services to our patients, we only want you to use the services that you are comfortable with. Above all, we want to be here for you and your family in any way that we can. Please call our office if you have any questions about any of these services.